Oftentimes, people are reluctant to take a leap to a new career without fully understanding the job requirements and duties of the position. Therefore, one of the best strategies to utilize to gain more knowledge about a position or a career is the informational interview. The informational interview is an opportunity to speak to an individual who is currently working in the career you wish to pursue. It is the time for you to have all questions answered about day to day activities, work responsibilities, and career culture, including typical work hours and challenges of the career. An informational interview enables you to assess both the negative and positive aspects of the position, and to utilize this data in your decision-making process. I always strongly suggest to my clients that they set up at least 3 informational interviews before they make a decision about fully transitioning to a new career. The most frequent questions about informational interviews involve how to go about setting up the process, including finding candidates and what questions to ask. 1) Your Primary Network – identify your career(s) of interest and first discuss possible candidates with your close network of family, friends, and co-workers. I am always amazed at how people tend to overlook the possible networking contacts closest to home. It is critical for you to talk to those who know you the best to support your efforts. 2) Professional Associations – if you are unable to find candidates in your network, you will need to widen your net. The best way to do so is by joining a professional association in your areas of interest. Such associations usually have a mentorship program, which you should utilize to further develop your network and explore informational interviewing opportunities. 3) LinkedIn – another option to find possible informational interview candidates is the social media site LinkedIn, which focuses on professional networking. It allows you to identify people by company and career interests. Take advantage of this option to identify possible candidates. 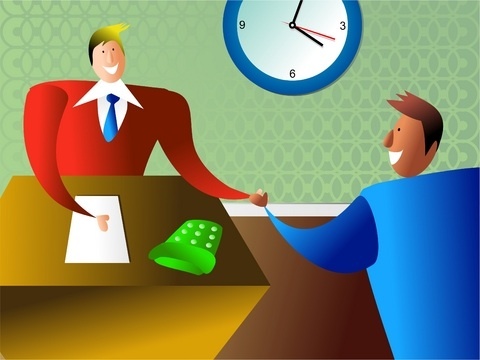 4) Setting Up the Interview – the best informational interview scenario is one which is done face to face. Once you have identified possible candidates, you should send an email query or call the person requesting an informational interview. Unlike a job request, an informational interview is seeking knowledge first. Therefore, you should introduce yourself and your intention (e.g. I am considering a career change and would like to set up an informational interview with you to learn more about X position). Clarify that you would appreciate 15-20 minutes of the individual’s time to talk about some specific questions. If you are unable to secure an in-person interview, the next best option is a phone call. 5) Conducting the Interview – you should go to the interview in professional attire (e.g. a suit) , unless you know your industry calls for something different. During the interview it is important to ask about questions related to the person’s career path, including entry level position and internships, explore recommendations that he or she suggest you follow to break into the career, discuss the challenges of the position, and the things he or she enjoys about the position. The goal is to truly learn about the advantages and disadvantages of the career/position, in order to make a better informed decision about your options. Make sure to obtain a business card so that you may follow up appropriately. 6) Follow Up – after the interview is completed, it is essential that you send a thank you letter and ask about the opportunity to follow up with that person if more questions arise. If you did not do so at the conclusion of the informational interview, you may also request the names of other individuals you may be able to interview. 7) Casting a Wide Net and Patience – many of my clients get discouraged after contacting 1-2 potential informational interviewing candidates and not getting any responses. I generally suggest a 5:1 ratio, which means for every 5 persons you contact, you should expect to hear back from at least one within 2-3 weeks. Therefore, if you intend to conduct 3 interviews, you may need to send out requests to 15 individuals. While informational interviews are only one way to find out about job options, it is also a great way to get your foot in the door in an industry which may be extremely hard to crack otherwise. So maintain optimism and start your informational interview journey!